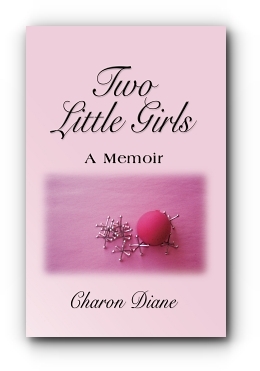 Well finally, after 5 years of dealing with my “condition” I possess the required strength and motivation to invest time in marketing my novelette, Two Little Girls. I hear that this is when the real work begins. After all, the words came pouring out of me and in less than two weeks I had written a book! It all started in 2010 with an unexpected visit to my home. I was living alone in the old family house. The youngest member of my family of 12, recently reduced by the passing of its three most elder members; my maternal aunt, my father and then my mother. Visiting today was the only remaining relative of my parents’ generation, a generation that thought it quite necessary to “come calling” on extended family. I remember that whenever he came to call, he brought something special with the bond that he shared with my parents. A world seemed to form around them built upon their recollections and bursts of laughter that would not be contained. They were almost childlike, one out-doing the other with what they remembered of the past. I enjoyed seeing them this way. I can think of nothing to provoke such abandonment of parental restraint as Simon’s visits. But today he’d come to visit with me. I was thrust into connecting with him as one adult to another. It was odd as we convened to Mother’s living room for a talk as I could not recall anything passing between us beyond a smile and possibly a brief admonishment for some mishap of mine that he could comment on, his contribution to the caring concern of my parents for my wellbeing. It wasn’t long before he revealed the news he came to tell, that my grandparent’s farm had been sold to a developer. The house, the barn, the smokehouse, everything was gone. I couldn’t move. I never thought that it would be destroyed; perhaps renovated beyond recognition but not that it wouldn’t be there in some form for me to visit whenever I chose to do so. Instantly it seemed the earth around me fell away and I was standing on a small bit looking out with no point of reference. I stayed with the news in an attempt to hold on to what I remember of the farm. Later on, when I was stuck in a quagmire of circumstances, I would be inspired to write the story of a summer that I spent with my grandparents on their farm in Virginia.